Station Road, a brief history. If we take the building of the railway station as the starting point for a brief history of Station Road, New Milton, then the name must have been given to the street in about 1886. 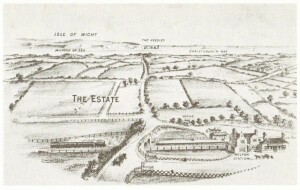 This birds eye image from the 1892 Milton Park estate sales catalogue shows the outline of Station Road and the cross roads of Ashley Road and Old Milton Road. 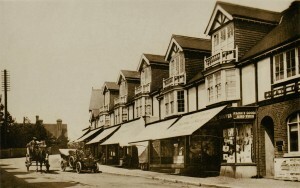 By 1904 the parade of shops leading south from the railway bridge had been built. This picture of Bank Terrace is taken in about 1915. In the background on the north side of the railway bridge you can make out the Milton Hotel, later known as the Speckled Trout. 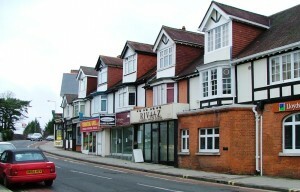 The modern day image of the same part of Station Road was taken in 2011. By 1910 the shops south of Whitefield Road and on the west side of Station Road had been built. 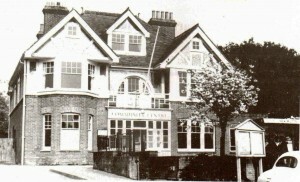 The New Milton Conservative club, known then as the Unionist Club was constructed and opened in 1911. However on the east side of the street there were large private houses. One of the first was at the cross roads with Ashley Road. 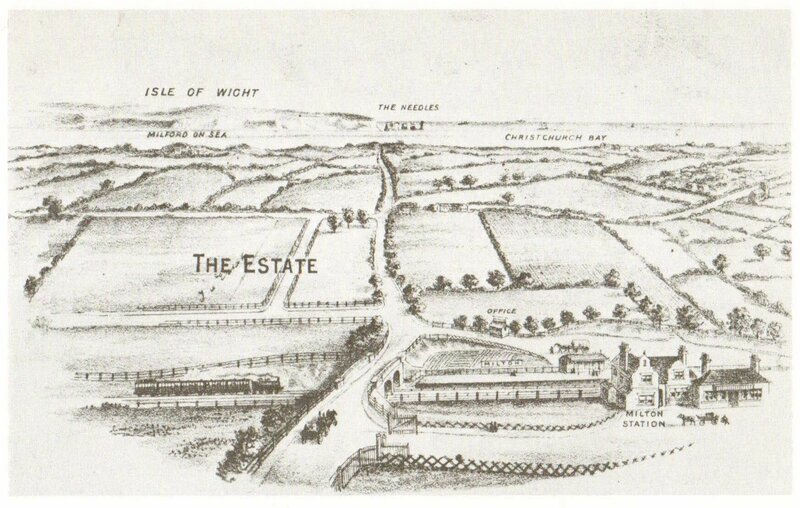 This was the private residence of Mr Hugh Wyeth the entrepreneur who built the Milton Hotel next to the railway station. This photograph is taken about 1911, and shows Mr Wyeth’s house in some detail. The National Westminster bank now occupies the site. In the distance at the end of what appears to be a country lane is the Wilts and Dorset bank, now Lloyds Bank. Taken some 30 years later this picture shows how swiftly Station Road was developed. 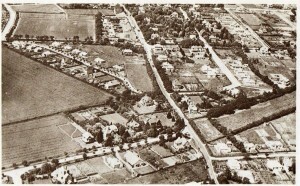 A good view of early Station Road can be seen in this 1920’s aerial photo showing the southern end. The cross roads can be clearly seen. It is interesting to note the field and undeveloped area where what the Old Post Office and Smith Bradbeers are now situated. 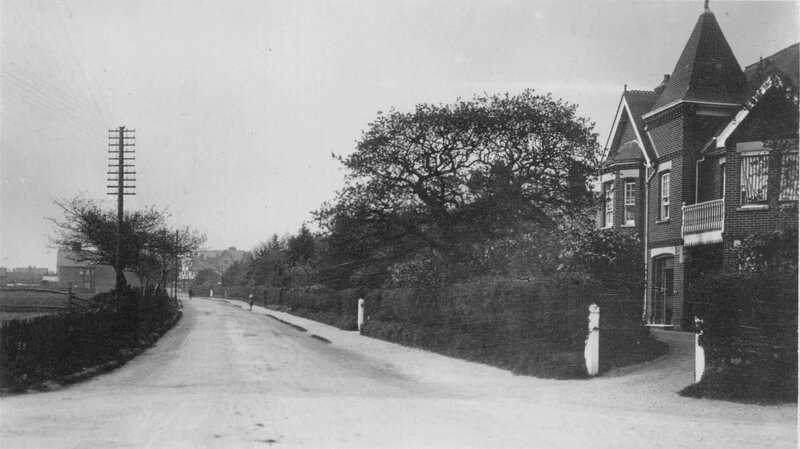 This picture clearly shows the large private houses along the east side of the street. Later some small shops were built, some of corrugated iron. These shops were in a service road and this image gives some idea of the layout. 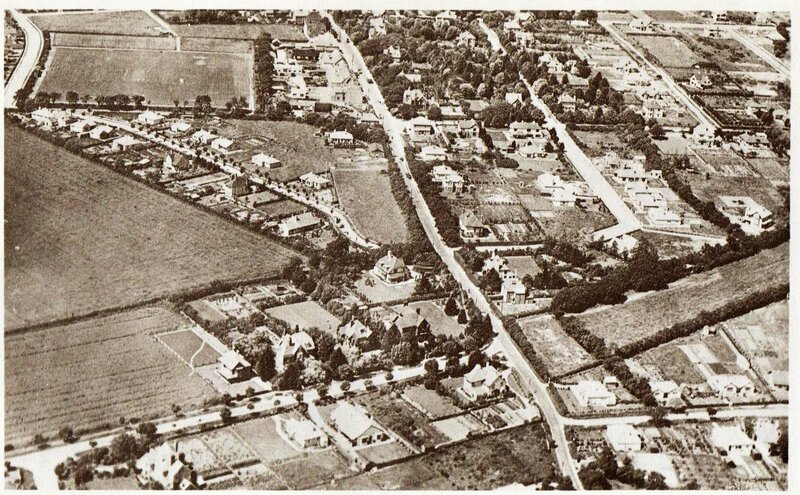 By the 1970’s most of those houses and small shops had been demolished and the area redeveloped for new shops. One of the first being Safeway, now redeveloped as the Co-Op. Further up Station road a converted private house which will be familiar to the older Miltonian resident was ‘Rosebank’. This building was at one time the Council offices, the library and the Community Centre. In front of the building on the street, there was a large, local map with places of interested illuminated by a light at the press of a button. As can be seen Station Road has developed from a small country lane to a bustling central thorough fare for our town. I wonder what it will be like in its 200 anniversary in 2086?